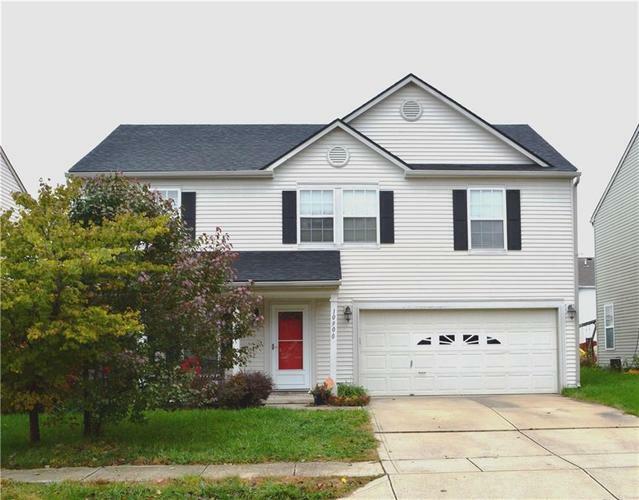 Enjoy the warmth of the fireplace this winter in this beautiful 3 bedroom 2.5 bath home. Plenty of room for entertaining with the open concept of kitchen, dining room, and living room. Immaculate hardwood floors throughout main level. Walk up the beautiful oak stairs into the comfortable loft area. Huge master suite has garden tub with shower. All bedrooms have walk in closets! Absolutely no carpet to have to vacuum in this home! Brand new HVAC in September 2018. New roof in November of 2017. Neighborhood has trails, parks, pool, and more. Close to shopping and restaurants too! Welcome to your new home! Directions:STATE ROAD 67 TO HEARTLAND CROSSING ENTRANCE GO EAST, TURN RIGHT ON RACEWAY, LEFT ON CLEAR SPRING DR.